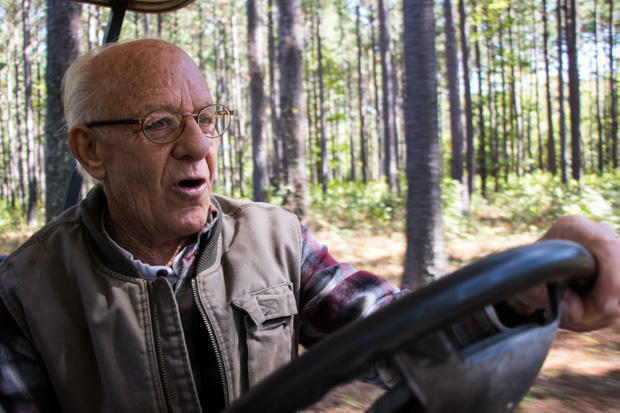 Jerry Gutierrez steers his golf cart on a tour of his ranch near the Kiamichi River in southeastern Oklahoma. Gutierrez and other nearby residents urged the state not to approve Oklahoma City's permit to tap water from river. 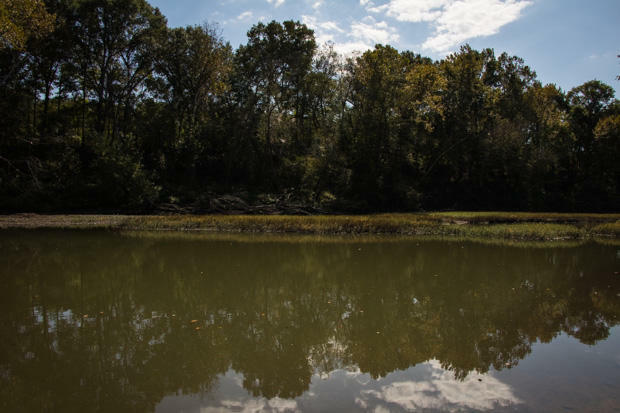 The city first applied for a permit to access its Sardis water in 2007, but the effort proved controversial and was delayed by local opposition and federal lawsuits filed by the Choctaw and Chickasaw Nations. Those lawsuits were resolved in 2016, through a Congressionally approved agreement signed by then-President Barack Obama. Staff at the Oklahoma Water Resources Board used technical information on water-use conditions developed during settlement negotiations to create a hydrological model of the Kiamichi River Basin and a lake level management plan for area lakes. Lawyers for Oklahoma City used this model in applying for an amended permit filed in January 2017. Eighty-five residents and organizations, including the Kiamichi River Legacy Association and Oklahomans for Responsible Water Policy, formally protested Oklahoma City’s application and urged the water board to deny the permit. Tom Garrett stands near a rocky beach at the K River Campground, which he owns. Garrett says Oklahoma City's water withdrawal permit could flood the beach and slow the flow of the river, hurting canoe and kayak rentals he depends on. Tom Garrett grew up on a cotton farm in western Oklahoma. Sixteen years ago, he relocated to a tree-lined stretch of the Kiamichi River and opened the K River Campgrounds. 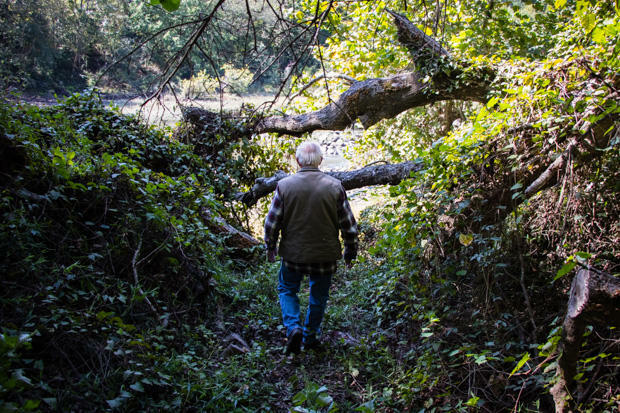 “I always wanted to own a river, so I bought the river,” he says. The shaded campground has picnic tables, RV hookups and racks of canoes and kayaks for tourists who want to trek down the Kiamichi. “If you live in Oklahoma City and western Oklahoma, you’d never imagine it would be here,” he says. Oklahoma City’s permit allows it to dam and tap the Kiamichi at one of four possible points. The city has not yet decided which point it will use, but all four surround the K River Campground. Garrett says any of the four withdrawal locations will likely increase the amount of water in the stretch of river near his business — and change its flow. Higher water levels could flood out the campground’s rocky beach, which Garrett says is a major attraction. He also worries Oklahoma City’s diversion could slow currents that bring in tourists. 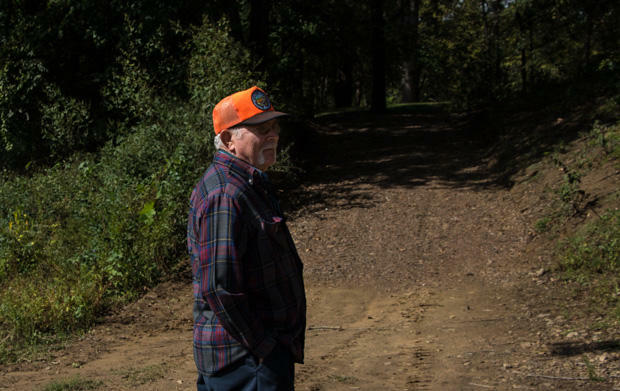 The Kiamichi River near Moyers Crossing, north of Antlers, Okla.
A mile up the road, Jerry Gutierrez ditches his pickup for a golf cart — the best way to tour the 133 acres that surround his home and a vacation cottage he rents to tourists. Gutierrez built the home himself, which has views of a small oxbow lake and trails that meet the Kiamichi River. The ranch has deer, otters, ducks and beavers. Eagles nest in trees and stalk bass swimming below. “This is a real rarity,” he says, stopping the golf cart momentarily to watch a pair of white-tailed deer bound through rows of slender trees. Gutierrez says government teams recently surveyed the oxbow lake on his property, and he’s suspicious that an increase in low-flying airplanes and drones mean Oklahoma City is eyeing his property for a dam and water-diversion point. Jerry Gutierrez walks down a trail to the Kiamichi River. Lawyers representing southeastern Oklahoma residents said the state and city’s research on the Kiamichi was inadequate and unscientific, and didn’t properly account for the water needs of fish, wildlife and tourism. Lawyers for the city disagreed. In the end, so did the state. A few hours after StateImpact interviewed Garrett and Gutierrez, regulators approved the permit. The lone “no” vote was cast by the only water board member from southeastern Oklahoma. One possible next step: another courtroom. The state didn’t agree with the push for more thorough studies of the Kiamichi River and the effect Oklahoma City’s water withdrawal could have. Gutierrez hopes a federal judge will.